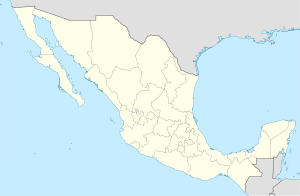 Santa Cruz Xoxocotln is a smaw ceety an municipality locatit 5 km frae the state caipital o Oaxaca in the sooth o Mexico. It is pairt o the Centro Destrict in the Valles Centrales region. The name comes frae the Nahuatl wird “xocotl” which means “sour or sweet an sour fruit” wi the duplicative “xo” tae indicate “vera.” The meanin o the entire phrase means “amang the vera sour fruits.” The Mixtec name for the aurie wis Nuunitatnohoyoo which mean “laund o the muin-facit flouers.” Housomeivver, the commonty is maist commonly referred tae simply as Xoxo. For amaist aw o its history, the municipality haed been exclusively landwart; housomeivver, syne the late 20t century rapid growthe o the Oaxaca ceety aurie haes spurred hoosin developments in Xoxo, causin problems wi municipal services an encroachment on the Monte Alban aircheological zone. Thare hae been efforts tae preserve an promote the municipality’s auncient tradeetions such as “martes de brujas” (Witch Tuesdays) an local customs associatit wi Day o the Deid. The latter draws a significant nummer o tourists tae observe the vigils, altars an ither activities associatit wi this commonty. This page wis last eeditit on 11 Mairch 2018, at 08:06.